The anthology takes as its theme the devotional cultures of European Christianity, from the dawn of the French Revolution to that later revolution which was the Second Vatican Council. 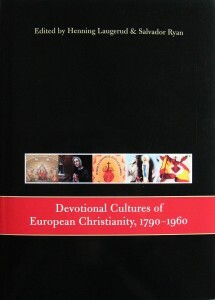 Topics explored are connected with spiritual and devotional renewal, questions pertaining to devotional culture in the arts, and the use of devotional instruments to identify individuals and groups over and against a specified ‘other’. Many of the contributions were first presented as papers at a workshop for the European Network on the Instruments of Devotion (ENID) I Ireland 2008.